DeMille couldn&apos;t help noticing all the press that Atlanta premiere had received. He enthusiastically embraced the State Street Council&apos;s proposal. His world premiere would be tremendous . . . stupendous . 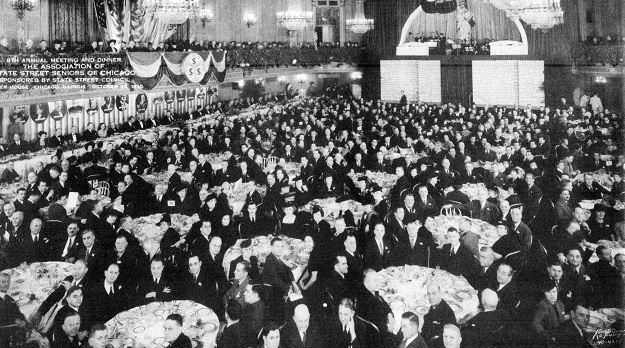 . . the most spectacular event to hit Chicago since the World&apos;s Fair! 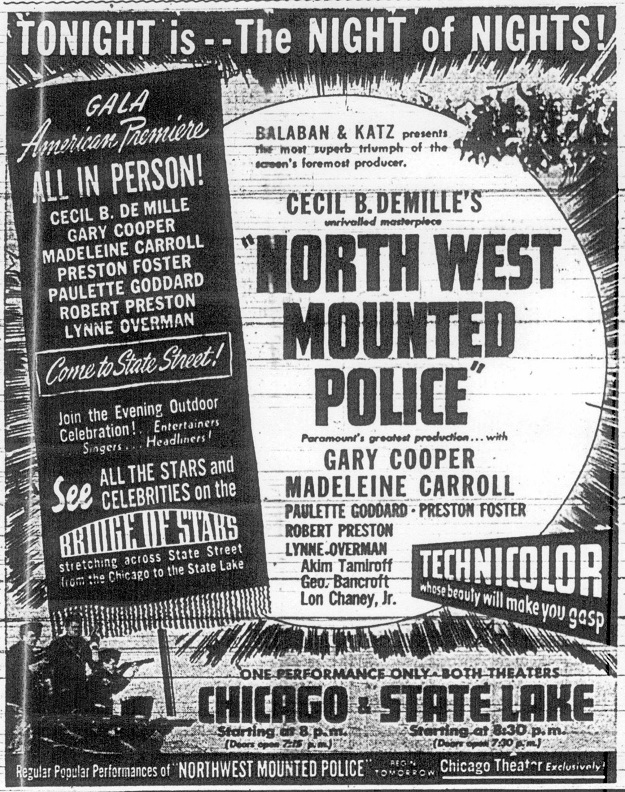 On the afternoon of the October 23, DeMille, his stars, and the rest of the movie people arrived at North Western Station. The publicity drums had been beating for weeks, and a crowd of over 10,000 was on hand to see them. Led by horsemen dressed in Mountie uniforms, the Hollywood party paraded to City Hall so they could be officially greeted by Mayor Kelly.